The LG Watch Urbane Luxe arrived on the market in 2015, though few noticed. 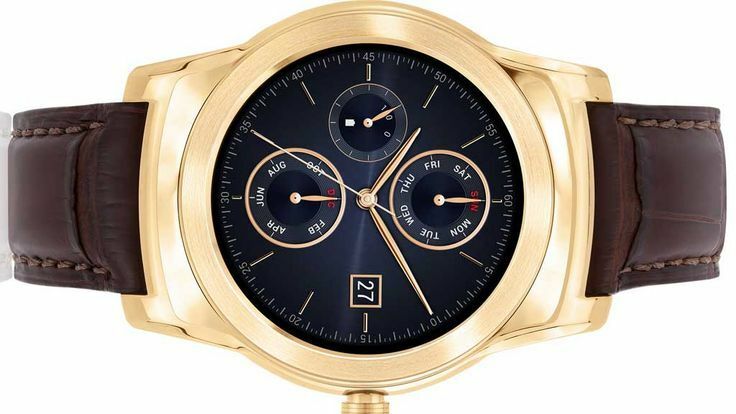 It is essentially a 23-karat, gold-plated version of the LG Watch Urbane, for those that want a more luxury Android Wear timepiece. So, with that said, it has the same specs as the first-generation LG Watch Urbane: 1.3 inch, P-OLED (plastic OLED) display, Snapdragon 400 processor, 512MB of RAM, IP67 water and dust resistance, and 410mAh battery. The Snapdragon 400 SoC is a bit dated at this point, seeing that Qualcomm has unveiled Snapdragon Wear 2100 as its wearables processor, but the LG Watch Urbane Luxe is still a viable option for those that aren't necessarily that impressed with the LG Watch Sport or Watch Style and want something stylish. The first-gen. Watch Urbane also saw a $150 price tag through eBay seller BuyDig last April, so the price for this 23-karat, gold-plated smartwatch is impressive indeed (23 karats, for those who want to count them). The Watch Urbane Luxe is now a part of a deal from B&H: the retailer is granting this watch to buyers for 50% off, with a price tag of only $150. That's right: it's cheaper than the Watch Sport and around the price of the Watch Style - meaning that you can now choose between styles, not price tags. You may not know, but the Watch Urbane Luxe is, like all Android Wear watches, compatible with Android smartphones with 4.3 Jelly Bean and up (yes, Android phones running Android 7.0 Nougat are compatible) and iPhones running iOS 8.2 and higher. And, for the question that's on everyone's mind, yes - the LG Watch Urbane Luxe has received Android Wear 2.0 recently, so no worries there about the latest platform update. If you're interested, head over to the link below to get your gold-plated Watch Urbane Luxe. We're sure someone will take advantage of such a "golden" deal.